Corcovado National Park is a marvel of marine and land ecosystems and is home to the Scarlet Macaw, wild boar, jaguar, crocodile and much, much more. If you are searching for adventure and complete emersion into the wilderness, this place is for you. There are a number of one-day excursions to partake in. 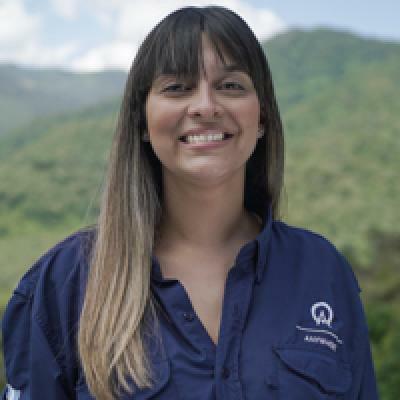 For example, there's dolphin and whale watching tours, mangrove forest tours, mountain biking excursions, sports fishing and endless hikes into the national park of Corcovado where over 350 species of birds can be spotted. The Aguila de Osa Inn is accessed through a magical boat ride where you'll be enchanted with the lush green mountains and marine waters. 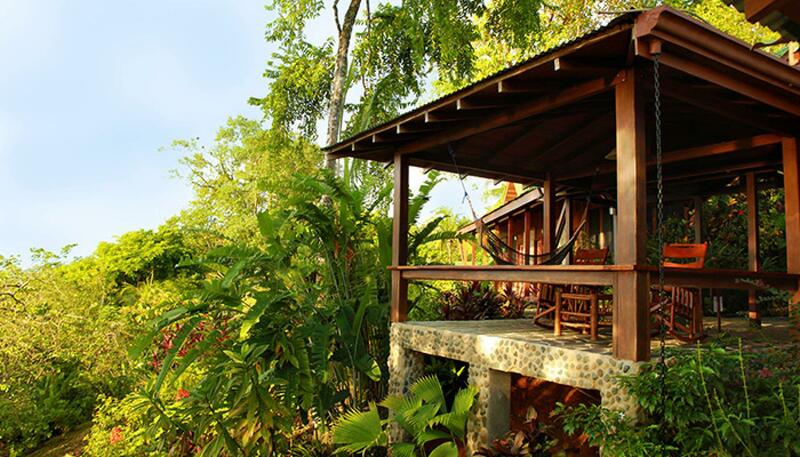 The property is situated on the outskirts of The Corcovado National Park, ensuring a secluded, private stay. From the rooms, a well maintained trail leads to the open-air restaurant, where furniture has been constructed from local hard wood and where the bay view is priceless. The restaurant menu features fresh fish, pastas, fresh vegetables, tropical fruits and much more. The dining experience is distinctive and delicious. The accommodations, tucked in the hillside, are spacious, open suites and rooms, all richly designed with a mixture of bamboo and local wood. Some special features are the vaulted ceilings, Italian tiled bathrooms, and hand crafted interior decoration. All rooms come with ceiling fans, electricity, hot water and drinkable well-water that has been UV treated. Come experience the private refuge created for you to connect closely with nature. The Lodging and Meals Package includes all necessary transfers from Palmar Sur or Drake Bay airports, lodging, all meals (breakfast, lunch and dinner), appetizers before dinner on the Jungle Terrace, unlimited kayak use. The Corcovado Jungle Experience includes the same the Lodging and Meals Package includes plus 1 day guided tour to Corcovado National Park and 1 day guided tour to Caño Island if your stay is 3 nights or longer. The 2-night package includes only one of these tours. Packages for five or more nights are available as well, please contact us for rates and information. "We loved Aguila de Osa. Communal eating, delicious food, nature sounds everywhere. Intimate but adventurous." We loved Aguila de Osa. Communal eating, delicious food, nature sounds everywhere. Intimate but adventurous. This hotel is stunning, set in Drake Bay overlooking the Pacific. The staff consistently go above and beyond to ensure that your stay is enjoyable. Food was great and evening happy hour followed by group dining was a great experience. Exceeded our expectations on all accounts. Paradise. One of the best hotels I have stayed in. Awesome staff and chef. Amazing place! The accommodations are beautiful and it feels as if you are fully immersed in the rainforest. The kayaks and day trips were a blast! This was paradise!!!! Great staff and wonderful facilities!!! Loved every minute of it!! We loved this tree house hotel! Food was good, nice little Tico Time everyday to catch up with others on their adventures from the day. One of the highlights of the trip was staying here. Real luxury in the jungle! They take their sustainable practices seriously here and have tried to provide nice accommodations in a jungle environment. The view from your room is fabulous, but you will have to work for it! Long, steep climb up a hill to the rooms. Consider it your exercise for the day. Rooms are big and ceiling fans- no A/C, but we survived despite the heat. Worth staying here for sure. Great service, great staff, great food, great guides- a real paradise! This place was amazing. A great way to end the trip. Far beyond our expectations. Just paradise and amazing service, wonderfully amazed at the rooms and staff.